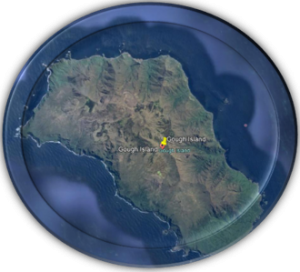 Gough Island is located at 40°S, 9°W, 2600 km from East Pier, Cape Town Harbour. South Africa has been operating a weather station on Gough Island since 1956. Initially it was housed in the station at The Glen, but moved to the South Western lowlands of the island in 1963 where weather observations are more accurate. This weather office operates the same as stations in South Africa with hourly climate observations and upper-air ascents. The station is administrated by the Department of Environmental Affairs, Directorate: Southern Ocean & Antarctic Support. Gough Island (also known historically as Diego Alvarez) is a volcanic island rising from the South Atlantic Ocean to heights of over 900 metres (2950 ft) above sea level with an area of 35 square miles (91 km²). It is a dependency of Tristan da Cunha, which in turn is a dependency of the British overseas territory of Saint Helena. The land the station is built on is leased by South Africa under contract and is magistrated as a district of Cape Town. It is uninhabited except for the 6 to 8 expedition members of the weather station as part of the South African National Antarctic programme (SANAP) and is thus one of the most remote places with a constant human presence. It is a lonely place, about 400 km southeast of the other islands in the Tristan da Cunha group, 2600 km from Cape Town, and over 3200 km from the nearest point of South America. Topographic features include the highest Peak, Edinburgh Peak, Hags Tooth, Mount Rowett, Sea Elephant Bay, Quest Bay, and Hawkins Bay. It includes small satellite islands and rocks such as Southwest Island, Saddle Island (South), Tristiana Rock, Isolda Rock (West), Round Island, Cone Island, Lot’s Wife, Church Rock (North), Penguin Island (Northeast), and The Admirals (East). Gough and Inaccessible Islands form a protected wildlife reserve, which has been designated a World Heritage Site by UNESCO. It has been described as one of the least disrupted ecosystems of its kind and one of the best shelters for nesting seabirds in the Atlantic. In particular, it is host to almost the entire world population of the Tristan Albatross and the Atlantic Petrel. However, this status is now in doubt as in April 2007 researchers published evidence that predation by introduced house mice on seabird chicks is occurring at levels that might drive the Tristan Albatross and the Atlantic Petrel to extinction. The island is also home to the almost flightless Gough Island Moorhen. The Royal Society for the Protection of Birds has since been awarded £62,000 by the UK government’s Overseas Territories Environment Programme to fund additional research on the Gough Island mice and a feasibility study of how best to deal with them. 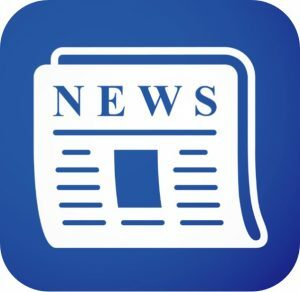 The grant will also pay for the assessment of a rat problem on Tristan da Cunha island.